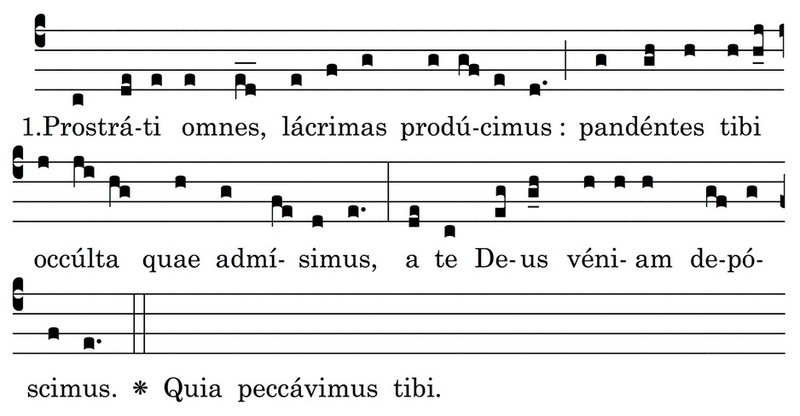 committed, we beg forgiveness from You, O God. grant; and have mercy on your people, O Lord. bent us over, and we languish, with all hope gone. flooded over us, and we have called out, and heard nothing. tears, to you whose wrath we have ourselves provoked. we pray You: may your power come to the aid of us wretches. You as we mourn, and in our heart we groan for our sins. all: we ask You, O Lord, with humble prayer. sins be washed away and in kindness free us from perils. 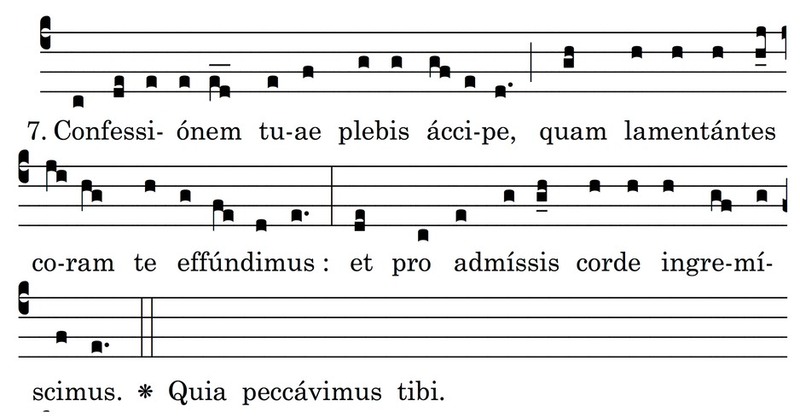 Note: The music for the above was typeset by the Society of St. Bede, and is from the Cantus Selecti (Abbaye Saint-Pierre de Solesmes, 1949, page 44) which is in public domain and may purchased at solesmes.com .